Former WWE Superstar Aaron Haddad (Damien Sandow) was a recent guest on the Why It Ended with Robbie E podcast. 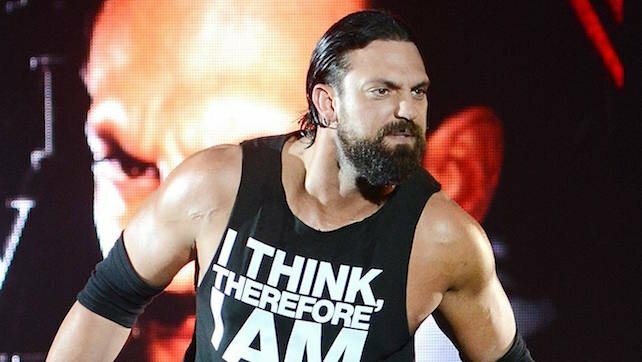 Sandow opened up about a myriad of professional wrestling related topics related to his time in WWE. Highlights appear below. I really don’t appreciate when someone is trying to tell you, ‘This is what you need to do because x,y,z.’ No, I’m pretty good at gauging how people are going to react to my stuff and that’s no disrespect to anyone. I will say this – in WWE I did get a lot of creative freedom on both live events and television, especially with my promos, but where you have to put everything together move for move for move, where if something happens out there where you have lightning in a bottle and the audience can be taken on this ride, why not? But, no because it has to be x,y,z. It is what it is and once again it’s part of the business, you have to accept it and you move on. Was I completely happy? No, but it was how I was treated after that match that was like, ‘OK, really?’ Everyone is high fiving me and the next thing I know is I’m dressed up like an astronaut or Daniel Boone or something like that. Again, I had no choice but to do the best I could. You never really saw me able to have some of those kind of matches. That’s the role I was cast in. The WWE is not my sandbox. I don’t get to call the shots. It is what it is. I have absolutely no idea [what the reason was] and you know what? If I kind of pondered that, I would make myself crazy, so I just had to let it go. It is what it is. I had asked to be let out of my contract a few times and it was always, ‘We’ll talk to you next week,’ and kind of not getting answers. The thing is they never took me off the road. I was at every house show, at every TV and I wouldn’t get a dark match. It was like, ‘What is going on? At least let me sit at home and recover a little bit.’ I never had a break ever. I just got to a point where I wasn’t happy and was like, ‘Let me get out and we’ll see what’s next.’ They were like, ‘No, no, no,’ and of course they did it with like five or six other guys. It is what it is and again, I’m grateful for my time there and still won’t say a bad thing about them because again it wasn’t my sandbox; I was just playing in it. I didn’t think it would be that big of a reaction, to be honest. There were a lot of people released, but for some reason the people were talking about me and I had not been featured on TV like a lot of these guys. I never got the chance to be repackaged like a lot of guys. It was just very flattering that they would feel that way about me and I just kind of said, ‘You know what? They really did appreciate me putting everything I had into everything they had me doing, from dressing up as an astronaut to dropping the briefcase to acting like a stunt double and killing the business and all that stuff.’ They really appreciated that. Wrestling fans – I will always have so much respect and love for them because of how they treated me. It was nice. I remember when I got the call and a weight was lifted off my shoulder…a couple hours later I was drinking a mint julep at Churchill Downs. It was the best feeling ever.